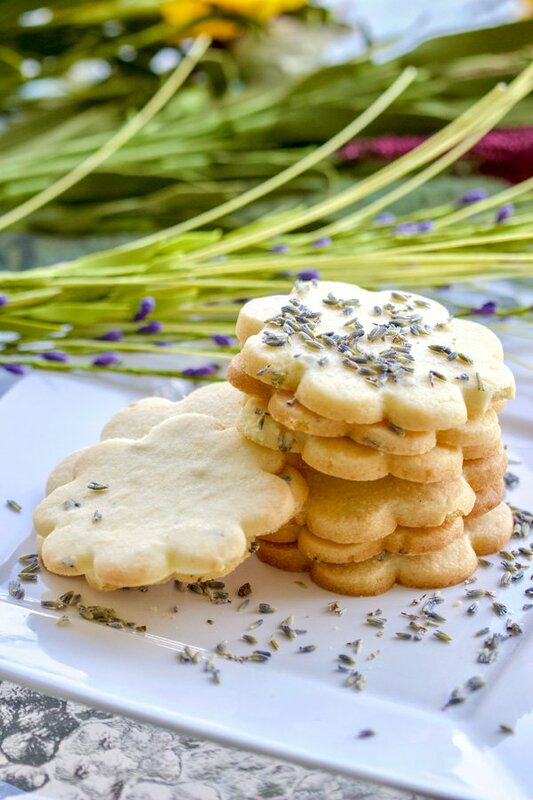 These Lemon Lavender Butter Cookies could make a great gift for family and friends! Bake them in the winter and they will bring summer closer to you. The cookies are also perfect on a Sunday afternoon, munching on them in the garden next to a delicious tea, but how perfect they could be for a bridal or baby shower? They are light and have this hint of lavender that is delicate and delicious. The cookies are also not very sweet. I think I like the combination of lavender, butter and lemon, and I also like the fact that they are not glazed, filled with something or iced. 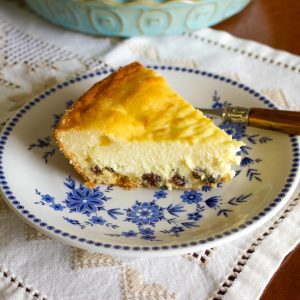 I like the recipe as it is, simple, delicious, herbal and elegant. 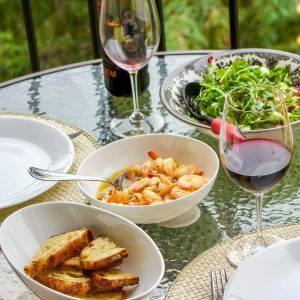 It might be exactly what you need to make when winter has no end in sight. If you live in a colder climate, like I do, winters are long, like almost 7 months long, so these cookies will definitely bring joy during these times. 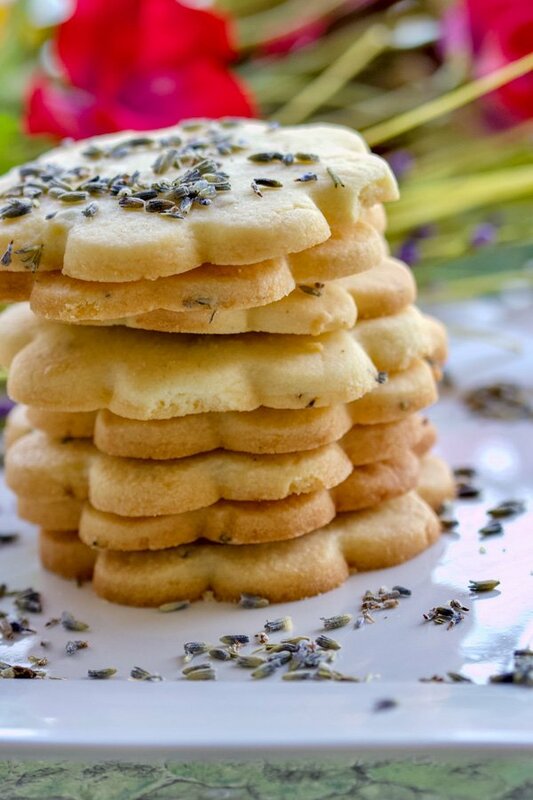 I like cookies with coffee, but I like these cookies in particular with lavender tea, or lemon tea. I really recommend finding a good quality tea for them. 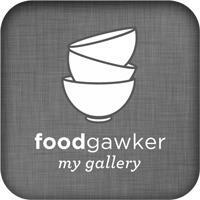 Then, you might ask where you can find dried lavender that is also edible? Well, in your garden, of course! Oh wait, you don’t have a garden? Many grocery stores carry dried lavender, but you can also order it online. Get the lavender here. 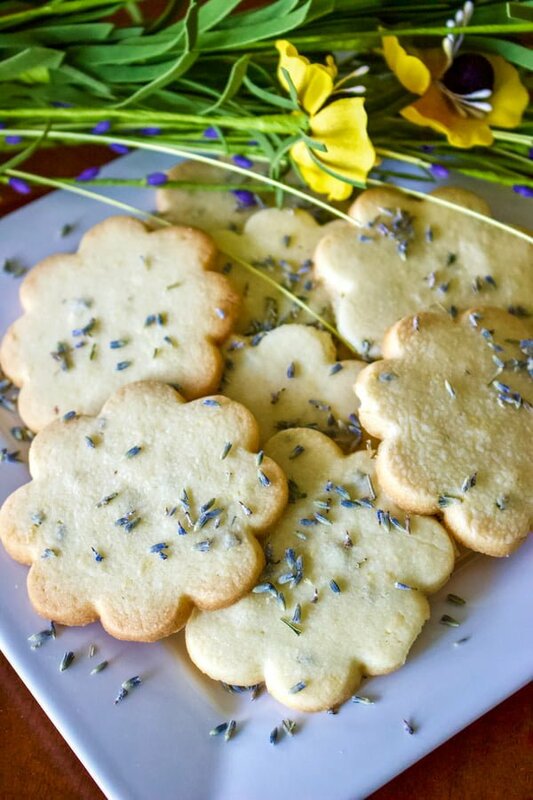 To make the cookies, you don’t need a lot of fancy ingredients, besides, well, the dried lavender. However, when you start baking, make sure you mise en place first. Mise en place means that you need to gather your ingredients first and make sure you have everything you need and in the right amount. There is nothing more annoying than to start mixing butter with sugar, to realize that you have no flour or eggs or something else that cannot be skipped in the recipe. Then, make sure the butter is room temperature. If it is not, place it in the microwave for 20 seconds. 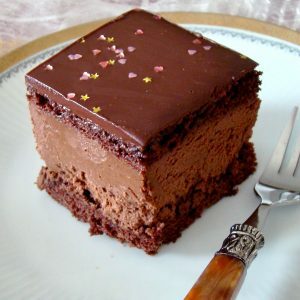 If it is not soft, you will not be able to beat it with sugar properly. Add the egg, zest of the lemon, flour, baking powder, a pinch of salt and the dried lavender. Shape the dough into a bowl, wrap it in plastic foil and place it in the refrigerator for 30 minutes. This step will help your cookies keep their shape when you bake them. Play with the shapes. This is the step that gives you freedom to cut the cookies the shape you want. Just make sure that they are more or less the same size in shape, so they bake all at the same time. Also, don’t over bake them. 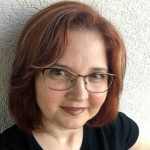 They have to be a light brown around the edges, but not more than that. 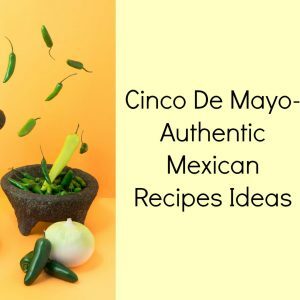 Finally, enjoy the recipe and let me know your thoughts. 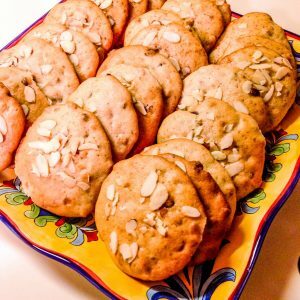 Also, if you like cookies with herbs, you might also like this recipe of Olive Oil Lemon Cookies With Herbs. 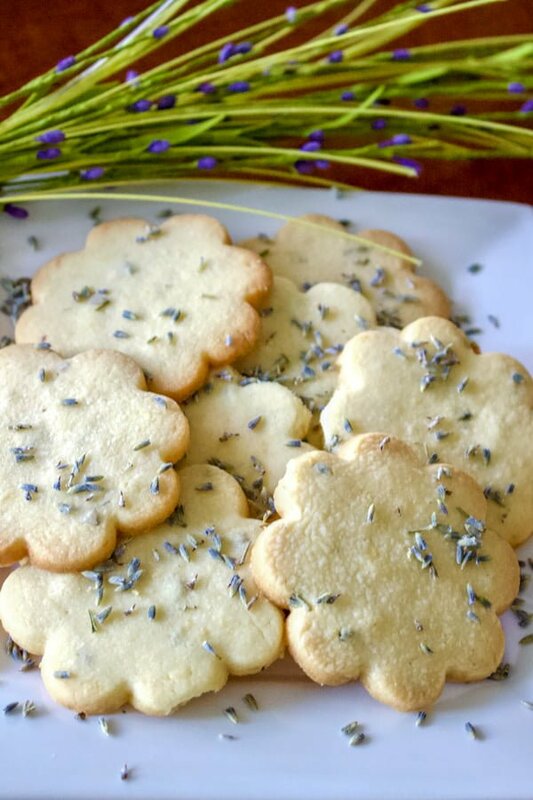 These Lemon Lavender Butter Cookies could make a great gift for family and friends! Bake them in the winter and they will bring summer closer to you. The cookies are also perfect on a Sunday afternoon, munching on them in the garden next to a delicious tea, but how perfect they could be for a bridal or baby shower? Beat the butter with the sugar until smooth and fluffy. Add the egg and lemon zest and keep mixing. 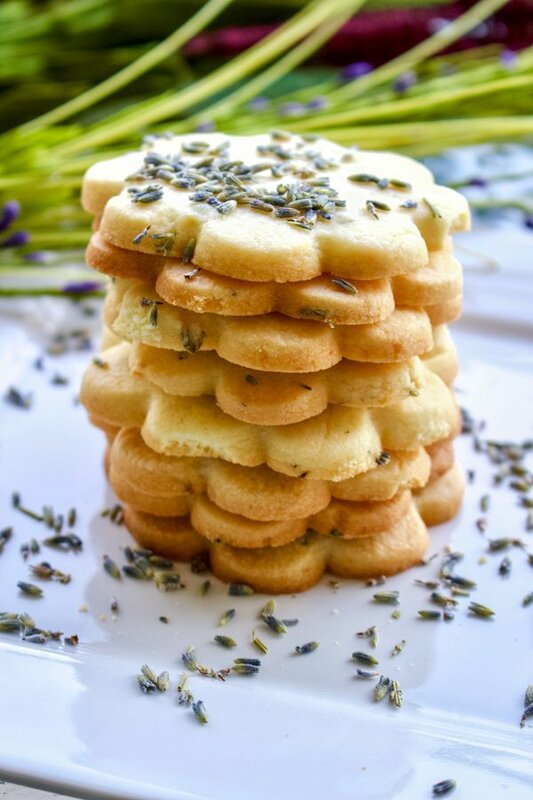 Incorporate flour, baking powder, salt and lavender.